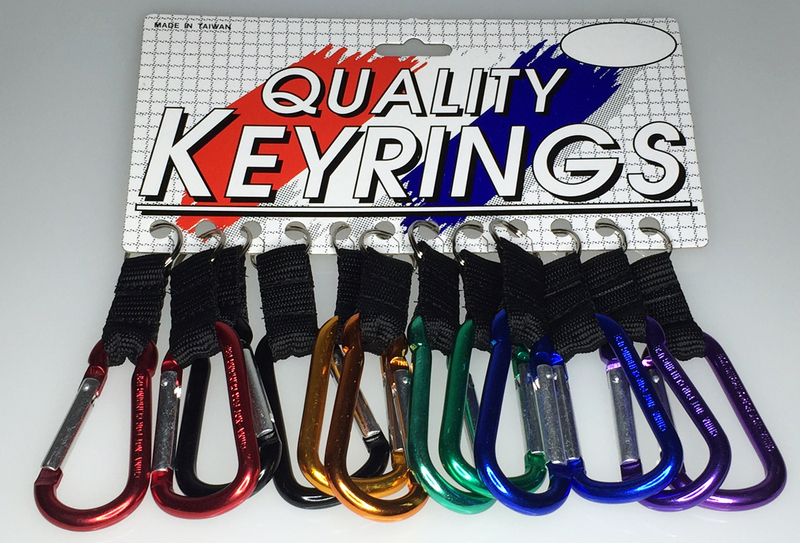 This is our 80mm carabiner assorted in both "D" shape and carabine with a 1 1/2" black web strap attached onto the carabiner. There is a 3/4" split ring attached onto the web strap. Packaging is Bulk.